2017-2018 Logo Hits and Fails: How Important is a Logo to Your Business? Do logos actually have a significant effect on customer acquisition or customer development? Does a logo have a power to drive or sustain business? Here’s a few of the businesses that changed their logos with mixed reviews in 2018 (with just a sprinkle of some 2017 gems). MINI, The British premium car brand owned by BMW, is now using the refreshed logo on all current models from March 2018 onwards. The winged wheel with the brand name is still printed in capital letters at the centre, but the new logo is two-dimensional, a great example of a flat design. By the way, BMW team had recently revealed that Mini is set to become an entirely electric brand. Hit or Miss? I like the simplified 2D look, it screams minimalism and innovation, so this change seems to be the first step of a huge moveover towards the future. Who else thinks YELLOW when we say “Lufthansa”? Believe it or not, Lufthansa in-house designer Ronald Wild is not in our team. Is all the Lufthansa senior team feeling blue? Are we not getting something? Let’s get this straight. According to Lufthansa, the idea behind the project wasn’t to reinvent the identity but to improve on it. In essence the crane icon remains the same but more elegant, thanks to the thinning of the lines. And while everyone’s okay with the new crane, the colour choice is what received a scathing response from airline livery enthusiasts. “We wanted to reflect the new premium feel” explains Alexander Schlaubitz, VP of Marketing. “Lufthansa now joins LATAM, Iberia, Avianca (and more) in this ubiquitous Eurowhite, bland, pointless design pattern” parries Enrique Perrella, publisher and editor in chief of Airways magazine. Hit or Miss? I like that the thin lines give more air to breath, but I would definitely prefer to see them in yellow. Reflecting the premium feel shouldn’t mean being the same as everyone else! Established in 1971, Century 21 is one of the most well known brands in real estate worldwide. This spring, Century 21 introduced a new identity. The press release states that “The logo features a refreshed color palette that stays true to its timeless gold and black scheme, while also embracing new graphics.” As you can see, what it doesn’t feature is the iconic house shape. Hit or Miss? I see zero reason to exclude the house shape, and I’m absolutely not in love with the logo above. The monogram below, though, looks more interesting and has a potential to become as recognizable as the old house logo. The question is: What impact will the new logo have on the business, which was already one of the world’s largest and most recognized in residential real estate franchise industry? The website of the leading online aggregator of movie and TV show reviews has been around for 19 years, and this redesign is by far the most drastic change for the brand. According to the brand, the goal was to keep the same vibe, but create something that can live across digital, social, mobile and more. And we think they nailed it. What’s amazing about this project is the way the company leveraged the fans’ feedback. After each round of edits, the team would collect the fans’ opinions to ensure the new branding was on the right track. “We used it as a gauge as to what creative direction we should go in. Some were very against certain directions and we tried to stray away from it and then some provided a lot of guidance towards what we should evolve the logo into,” Courtney Kawata, Rotten Tomatoes senior art director, said. Well, who else, if not the biggest aggregator for reviews, should understand the benefits of two-way communication with the audience? Hit or Miss? Obviously, I give it the thumbs up. 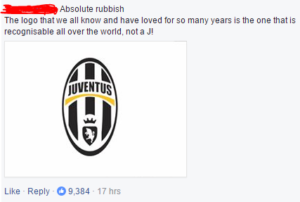 Established in 1897, Juventus F.C. is a professional Italian football club, one of the most famous in soccer history. The change was met with overwhelming negativity. Hit or Miss? Hard to say. Judging by the fans reaction, it’s a huge Miss. Judging by the experts reviews, it’s a brave and interesting Hit. I personally like it, it’s masculine, bold and much better for performance purposes than the old one. But will the new logo have any effect on club’s success? And is all this hype around the redesign a good thing for club’s reputation? Just this June International advertising agency Ogilvy has revised its logo font along with a subtler palette. According to the press release, Ogilvy desires to modernize while hewing to the main principles. “This is the next chapter, not the last chapter,” company’s chief executive John Siefert said. Hit or Miss? Well, I can only say that we really don’t mind “reading” the similar chapters as long as “the book” keeps us interested. Sometimes stability is a good thing, but the hype around this redesign seems to be a bit extra. American Express is a global services company that provides payment solutions, but we’re sure you already know this. What you might not know is that their iconic Blue Box logo was introduced in 1975, and the recent redesign project is the first “new logo” the brand has ever seen. And it surely is…less shiny, but would you even notice it if we didn’t tell you? In fact, much like we’ve seen with Ogilvy, these minor design changes are made mostly for performance purposes. No judging, but raise your hand if the lack of backspace makes you anxious too. Hit or Miss? The move to a mono blue background (as opposed to a gradient blue) is a good idea, but I would have liked to see an update to the font. This spring was truly rich in novelties. Not only AmEx, Rotten Tomatoes and Century 21, but also Best Buy went for new fresh looks. And this one is pretty special for Best Buy as it’s the first time in almost three decades the company has updated the logo. The website says that “It’s now more modern and easier to read, especially in today’s digital world”. The name still appears in a similar font, but now it have been pulled out from the signature yellow tag. This solution helps to clean up the logo without losing the precious visual connection with the original version. It’s hard not to notice that this redesign looks less flat and minimalistic than everything in this selection. Nice to know we still have some diversity. Hit or Miss? Hit. 10 out of 10. Founded in 1856, world–renowned Burberry remains a quintessentially British brand. “The new logotype is a complete step-change, an identity that taps into the heritage of the company in a way that suggests the twenty-first-century cultural coordinates of what Burberry could be,” Peter Saville told Dezeen. It’s hard to disagree with him – the new look is much more modern. The question is – do we want to be in the twenty-first-century when buying Burberry? Hit or Miss? Let me just say that I’ll be really disappointed to see the new logo on any new Burberry thing I buy. Another Saville’s redesign job is the Calvin Klein logo. Calvin Klein’s upper and lowercase wordmark has been around since the late 1970s and might be called the most mainstream fashion logo (in a good way). Hit or Miss? It’s definitely wrong to simply say that the new logo is not good enough. Maybe it’s the fact that the old logo’s been EVERYWHERE for 40 long years (and we didn’t mind at all). Maybe it’s the “modern” feel it still gives. But something definitely makes it seem extremely odd to let go of it. So, where’s the fine line between following trends and losing identity? 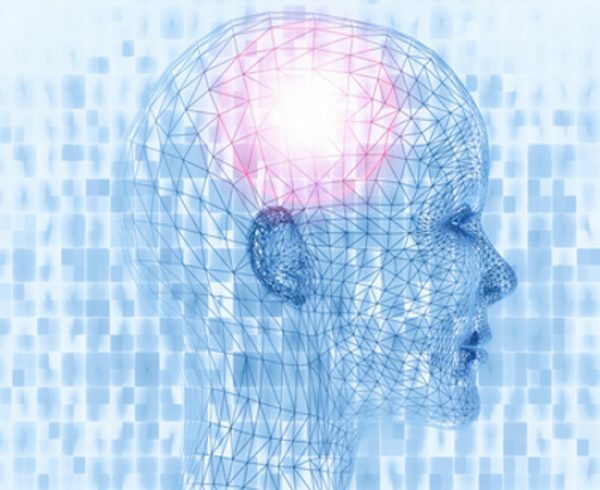 Is simplification for performance (or “staying cool”) purposes worth it? And most importantly: Will the design change inspire a change in the existing business? As a Digital Marketing Specialist at Sensei, Anna specializes in creative and visual social media content and community management. If not at work, she can be found cuddling with her dogs and doing yoga. 2014 Logo Hits and Fails; How Important is a Logo to Your Business? 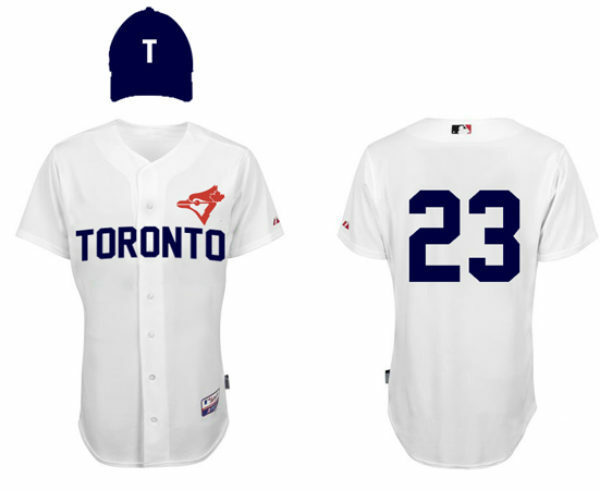 Message to Toronto Blue Jays Uniform Designers: Simple Sells!